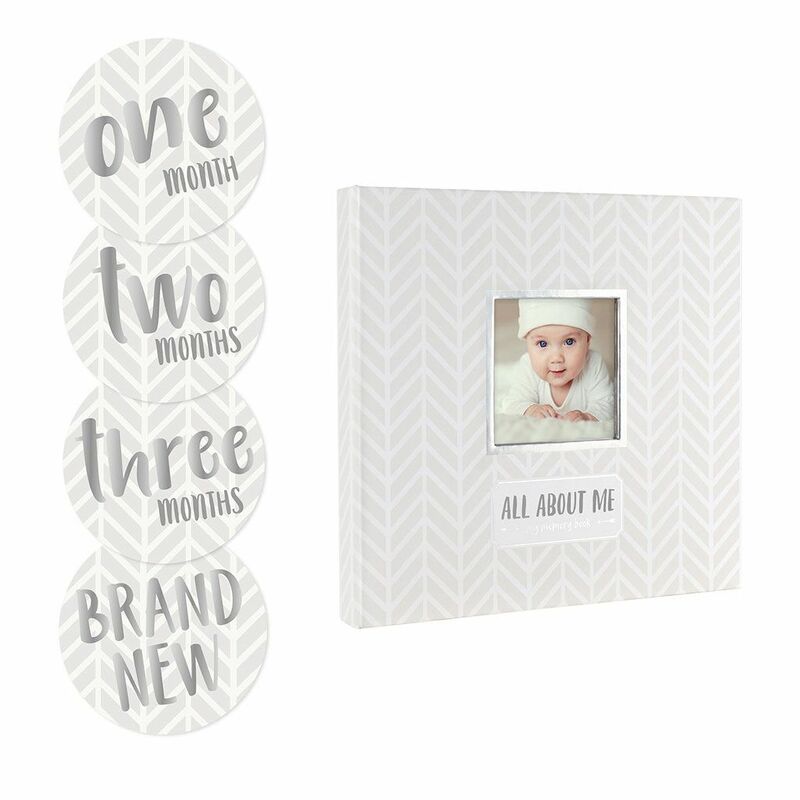 Adorable and right on trend, celebrate baby’s first year with Pearhead’s baby’s memory book and sticker set. 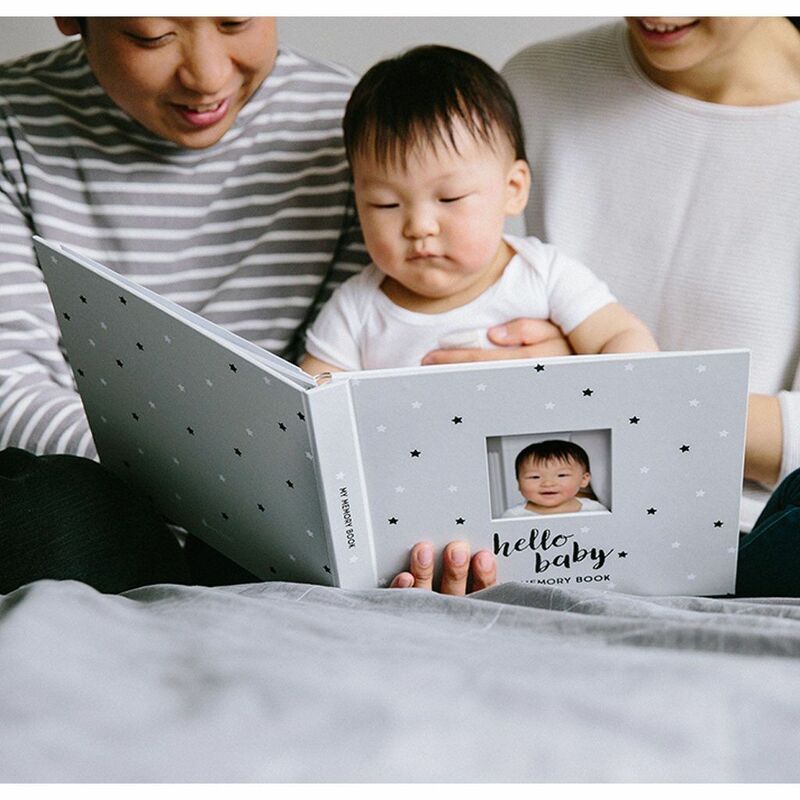 This cute babybook is the perfect way to cherish every one of baby’s moments. It includes 50-acid free pages with descriptions to fill in all about baby! When baby says momma for the first time or starts to walk, capture those most precious memories in the book. For years to come, every time you open this book every memory will bring you back to the day they happened! Each page includes descriptions so you have an easy-to-follow guide for filling everything in. This book also includes 16 belly stickers, one for each month of baby’s first year plus a few bonus stickers with adorable little animal designs. Simply place the sticker on baby’s belly and snap a picture! Share with everyone you love on social media and then print the picture to include in the book. You can display a 3.25” x 3.25” photo on the front cover. 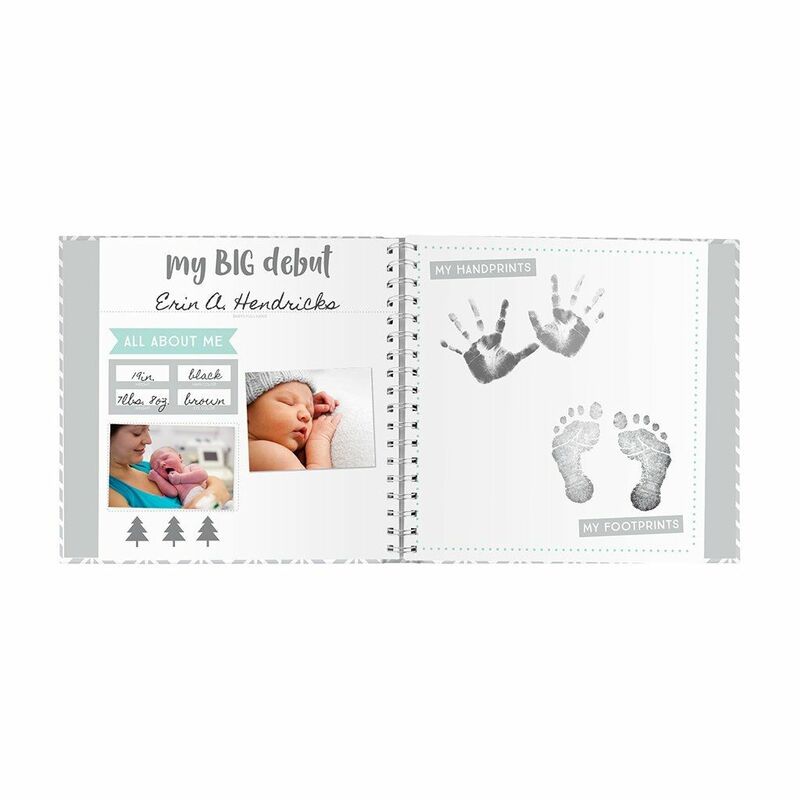 Also store some of baby’s most adorable keepsakes in the back of this book with the included pocket folder. After baby’s first year, continue to fill the book in with memories from baby’s birthday every year. The entire book is spiral bound ensuring the pages won’t come loose when baby starts to play with their little book.